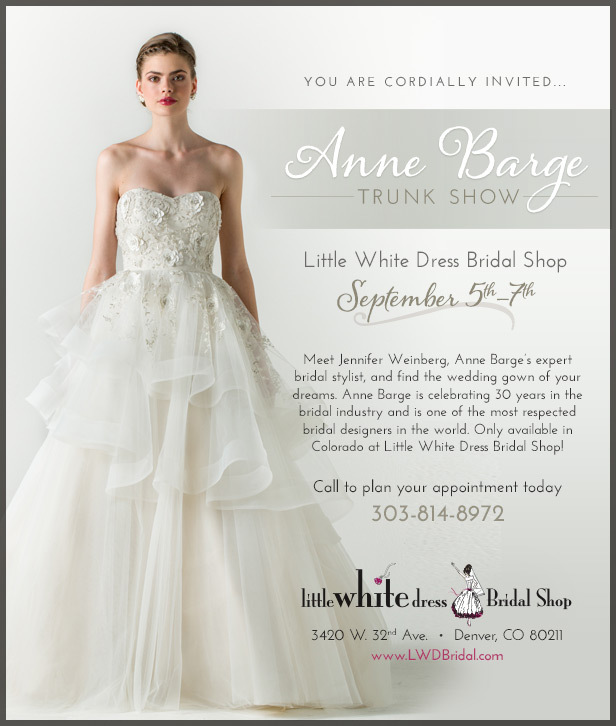 Don't miss the upcoming Anne Barge Trunk Show at Little White Dress Bridal Shop in Denver! These gowns are classic, beautiful, and romantic, and the brand new 2015 collection will be here in Colorado for a limited time during our trunk show, September 5th-7th. Schedule your appointment by calling 303-814-8972 or visiting our website.